LG V30+, the higher storage variant of the LG V30 flagship, will be launched in India at a New Delhi event on Wednesday. Beyond storage, there are no differences between the LG V30+ and the LG V30. With the latter model now expected not to be launched in India, consumers in the country will unfortunately not have the option to buy a slightly cheaper variant. The New Delhi launch event kicks off at 11:30am IST, and you should stay tuned to Gadgets 360 for all the details out of the event. To recall, the LG V30 and V30+ were launched at IFA 2017 in August this year. 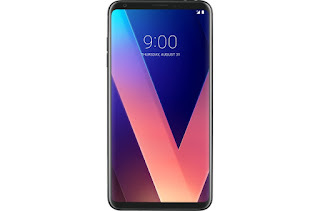 As for pricing, LG at launch priced the V30+ at KRW 998,800 (roughly Rs. 56,600), and we can expect the LG V30+ price in India to be roughly the same. The LG V30+ runs on Android 7.1.2 Nougat with LG's UX 6.0+ skin on top. It has a 6-inch QHD+ (1440x2880 pixels) OLED FullVision display with a pixel density of 538ppi and HDR10 support. Unlike the secondary display of previous V-Series offerings from LG, the V30+ sports a Floating Bar, which displays shortcuts and can be disabled when not required. It is powered by an octa-core Qualcomm Snapdragon 835 SoC coupled with 4GB of LPDDR4x RAM. In the camera department, the LG V30+ sports a dual camera setup on the rear with a 16-megapixel sensor that has f/1.6 aperture, a 71-degree wide-angle lens, and one 13-megapixel sensor with a 120-degree wide-angle lens and an aperture of f/1.9. On the front, the LG V30 sports a 5-megapixel wide-angle (90-degree lens) camera for selfies and video calling. The LG V30+ has 128GB of inbuilt storage, expandable via microSD card (up to 2TB). Connectivity options include Bluetooth 5.0, USB Type-C, and Wi-Fi among others. The dimensions of the LG V30+ are 151.70 x 75.40 x 7.30mm and its weight is 158 grams.